With demands on Manufacturing and Quality ever increasing Maintenance is often forgotten when the priority list is drawn up. 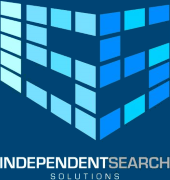 At Independent Search Solutions, we have a network of Maintenance Personnel, from entry-level engineer to Senior Plant Managers and everything in between. A regular complaint I come across is Maintenances is not valued within the organisation, but Pharma / Device are leading the way in the change. A recent conversation with a Maintenance Supervisor showed me where this change is being led from and to what end. Not only was he recently included in a high-end meeting, his advice was acted upon and his recommendations lead to improvements at other global sites. This may seem a trivial matter, but the simple opening of communication channels gives this member of the team a new-found sense of respect. Instead of “banging his head against the wall” he was listened too. We all need to take time to listen more and talk less.